Why Won’t A Sheriff in South Carolina Do His Job? On February 10, 2018, SHARK was at the Broxton Bridge Plantation, located in Ehrhardt, South Carolina, to document a cruel live pigeon shoot. Thugs at the plantation shot and hit three of our drones, causing thousands of dollars in damages. 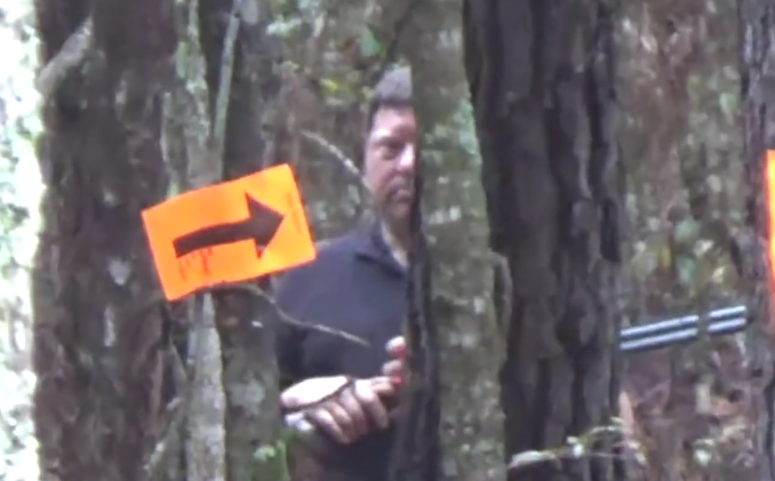 Even though we have video and audio evidence that specific people from Broxton bridge were either directly involved in the shootings, or know who did it, such as plantation owner Jerry Varn and former police officer Joey Patsourakos, Colleton County Sheriff Andrew Strickland has done nothing to hold anyone accountable for their crimes. Perhaps Sheriff Strickland hasn’t acted because Varn, who was filmed on Colleton County Deputy body cams, appears to be on a first name basis with Sheriff Strickland as he repeatedly referred to him as “Andy” and stated that he had conversations with the Sheriff about SHARK. We should note that the deputies themselves were very professional, which makes Sheriff Strickland’s actions all the more disturbing. We will be releasing a much more detailed video on all the criminal acts that occurred at Broxton Bridge in the near future. Jerry Varn, captured on the deputy's body cam, repeatedly called Sheriff Strickland "Andy"
Please politely and respectfully email Sheriff Strickland and ask him why he has refused to do his job. Please let us know if you get a response.